We've been battling Melbourne's wintry wrath for several weeks now, and you might be feeling like you can juuust make out a faint little speck that is the light at the end of winter's woeful tunnel. Well, as much as here at The Urban List we ordinarily like to be the bearers of all news joyful and delicious, we've got some unfortunate news for you. THERE'S STILL AN ENTIRE MONTH OF WINTER TO GO! This shocking revelation has no doubt left you squirming in a pool of tears and shuddering with fear and trepidation, but fear not, young Listers! We are never ones to induce a frown without doing something immediately to turn it upside down. To help you get through the final weeks of winter, we've searched high and low to bring you the best gluten-free porridge in Melbourne. Whether you're a westy or southy, The Servery serves (pardon the pun!) up some of the best breakfast in Melbourne, with their quinoa porridge dish a cracker gluten-free breakfast option. The 'Tropic Goldilocks' is an organic quinoa porridge cooked in coconut milk and spices, with poached rhubarb, almonds and pistachios. Nom! A funky and modern space with house-roasted coffee onsite, not only does Wide Open Road pour some of Melbourne's best coffee, it also dishes up a drool-worthy breakfast menu. One of the highlights, particularly in the chilly months, is the chia seed and almond milk porridge with poached quince, yoghurt, mandarin and walnut. Goodness in a steaming bowl. Whilst it may be a little off the main beaten brunch track in Melbourne, the Yarraville locals flock to The Cornershop, and for good reason. There's a hustling bustling atmosphere on the weekends, with an all day menu that'll leave you coming back for seconds! One of our favourites is the coconut quinoa porridge with banana and palm sugar – a gluten-free breakfast to please even the fussiest Melbourne eater. The Lovebird definitely gets a nod for one of the best gluten-free porridges in Melbourne, with a quinoa flake porridge served with fig, apricots, super food seeds, desiccated coconut and coconut milk. You had us at fig and desiccated coconut. Image credit: Two Lost Boys Facebook. A relatively recent addition to the 'cool and trendy' Windsor end of Chapel Street, Two Lost Boys has already established itself as one of Melbourne's best cafes. 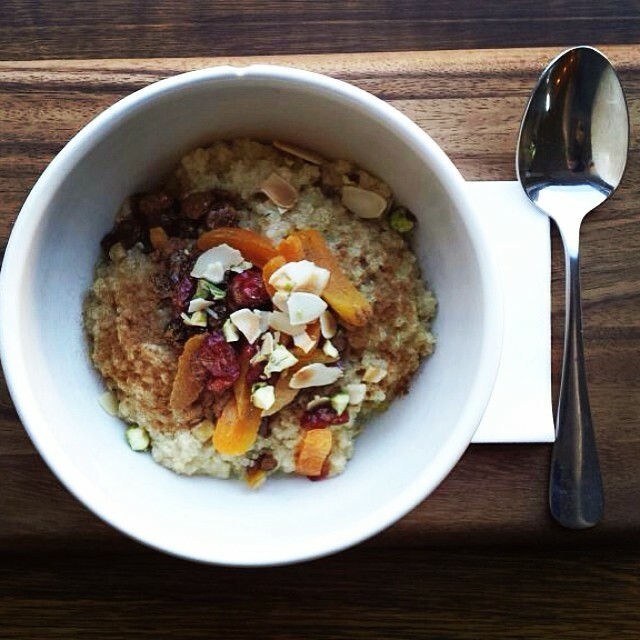 Serving up some of the best breakfasts in Melbourne, the gluten-free porridge is a definite highlight! No doubt the most unusual and unorthodox interpretation of porridge going around the Melbourne café scene this winter, Lemon Middle & Orange's menu features this beauty: Smoked sweet corn and quinoa porridge, with confit mushrooms, a soft poached egg and toasted crumbs. It may sound odd, but trust us – this is one must-try breakfast in Melbourne. On the cusp of the CBD, Stovetop has a sleek interior and is a go-to spot for nearby students and workers. The Stovetop menu features a porridge dish made of spiced quinoa and sago, with almond milk, coconut flakes and toasted almonds. A textural breakfast treat for the gluten avoiders. With lines trailing down the street and Melbourne foodies going bonkers weekend after weekend, Industry Beans is well established as one of Melbourne's best cafes. 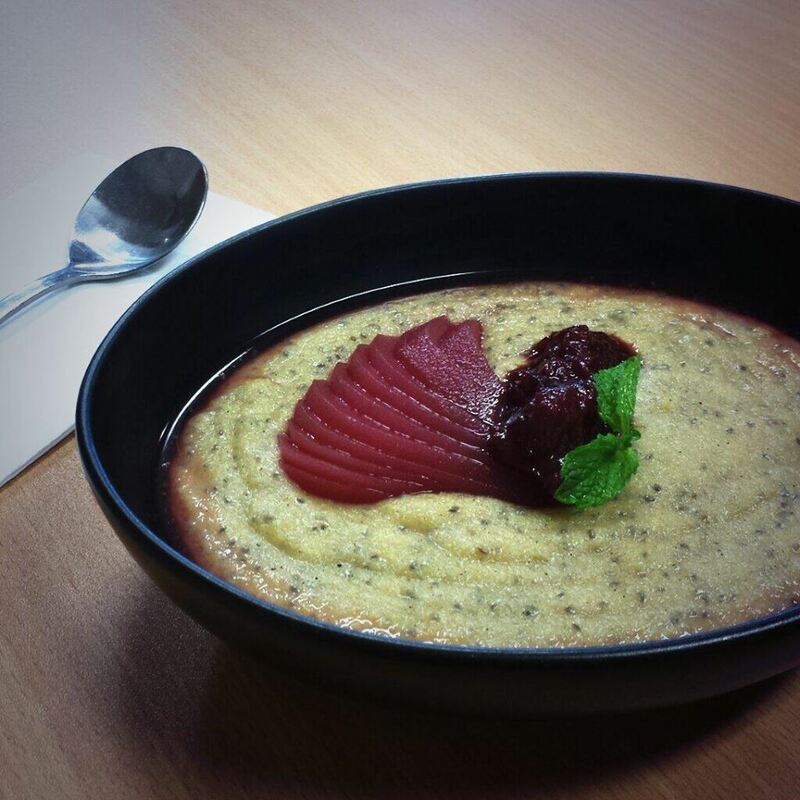 As far as their gluten free porridge option goes, they do a cracking Chia and polenta porridge with vanilla poached pears, coconut milk, cranberry reduction and mint. Get involved people. The Grain Store doesn't have grain in its name for nothing (#youloldadmit), with a spectacular gluten-free take on porridge that'll have you salivating.The Grain Store's banoffee buckwheat porridge is served with candied pink grapefruit, coconut water, golden flaxseed dukkah and yoghurt. It's healthy, but man does it taste delicious. Never ones to err on the side of traditional, Auction Rooms is one of Melbourne's best cafes and a firm TUL favourite. With many a creative and inventive dish on the menu, you won't be left wanting if you're after a glorious gluten-free breakfast. Auction Rooms has a porridge of amaranth, brown rice and quinoa, made with spiced coconut milk and topped with Schulz organic vanilla yoghurt, a pumpkin seed praline and mulled wine pears (booze for breakfast – huzzah!). The porridge is also available before 9:30am in a smaller size as an "Opening Bid" option with a soft-boiled egg and soldiers. NOM! So, there you have it: our top spots for gluten-free porridge in Melbourne. Somebody pass the spoon.